David Jupp was born on 20 May 1943 in Perth, Western Australia. Early education was first in WA and then in South Australia after his family moved east with extra practical studies being undertaken in North Australia when he took a break from University between 1964 and 1968. University degrees were BSc with Honours from Adelaide University in 1970 and PhD from Flinders University conferred in 1973. Following a period working in Geophysics at Macquarie University in Sydney, he joined the CSIRO Division of Land Use Research in 1976 working on remote sensing applications to both Water and Land throughout the 20 years that followed. During this time he was involved in a broad range of projects making use of various forms of scene and image modelling, image processing, technology transfer and commercialisation. Applications and projects were often in the Coastal zone and included off-shore but shallow reefs during a major project with the Great Barrier Reef Marine Park Authority between 1980 and 1985. But projects involving inland waters; surface water resources; and thermal data analysis of the land surface temperature for soil moisture and water balance estimation were also undertaken. His more recent research has included applications of Hyperspectral and Lidar remote sensing techniques to mapping and measuring vegetation as well as satellite calibration and validation at remote sites in outback Australia and development of physical models for land covers and imaging. Between 1979 and 1996, he was Leader of the Hydrological Remote Sensing group of the CSIRO Division of Water Resources (now CSIRO Land and Water). International collaborations during this time included research with people and groups principally in the USA, Canada, Thailand, China and SE Asia. He moved from CSIRO Water Resources to an appointment as Science Leader, CSIRO Earth Observation Centre (EOC) and later Head of CSIRO Space Science and Applications (COSSA). As Science Leader he organised and led a successful One-CSIRO, multi-Divisional collaboration with NASA to validate a new, experimental remote sensing satellite called EO-1. the development since 2000 of a patented, ground based Lidar system for vegetation mapping called Echidna®. This project is ongoing. In 2009, he retired after 33 years with CSIRO but continues as a Post-Retirement Fellow in the CSIRO Division of Marine and Atmospheric Science based in Canberra. 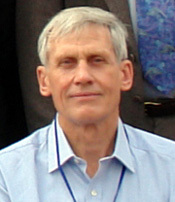 In 1986, David Jupp was awarded a CSIRO Medal for Research Achievement for his work in developing remote sensing research in the Division of Water and Land Resources; for leading the research, applications and technology transfer relating to the mapping of the Great Barrier Reef using satellite data; and for commercialising the technology through the microBRIAN image processing system. Jupp DLB, 2010, Personal communication.